The Castle of Chouvigny is a medieval fortress that dominates the valley of the Sioule river. It is located at a spot called the 'Gorges de Chouvigny', where the valley of the river enlarges. 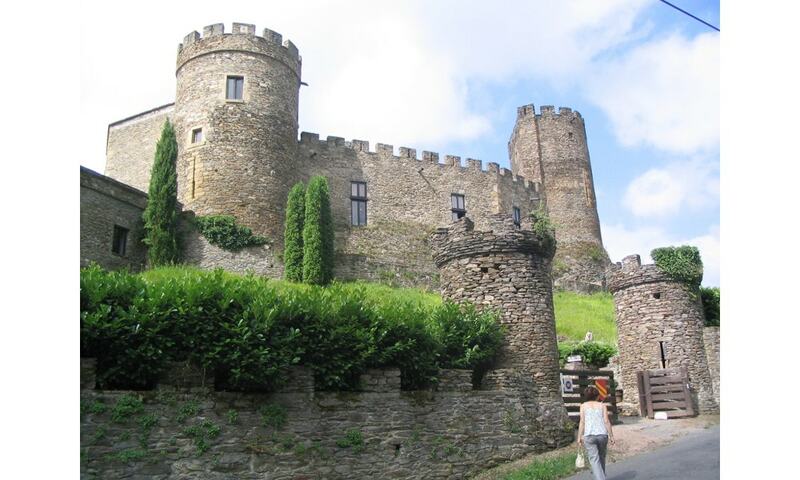 The castle is the birthplace of the Chauvigny family. It was erected in 1250 at the order of William I of Chauvigny to control the passage in the Sioule canyon. The castle had been in the possession of several noble families either by marriage or by inheritance. During the Second Empire, it belonged the Duke of Morny, half brother of Emperor Napoleon III. The exterior part of the castle has suffered only minor changes since its original construction; today, it represents a great example of military architecture of the Middle Ages. However, many parts of the interior structure have been restored and renovated over the centuries. Surprisingly, it is not listed as a historic monument by the French Ministry of Culture.